Who controls your content? It's not always an easy question to answer. IT wants control to ensure everything is secure and where it should be, while business users are demanding easier access to content in the cloud era. 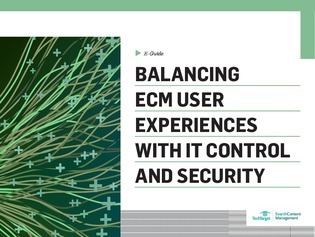 In this expert e-guide, we explore how you can deliver quality ECM user experiences without sacrificing IT control or security.